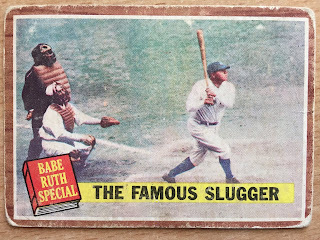 Commish Bob, the ever-popular Five Tool Collector, reached out late last month and offered up some most epic cards of Hall of Fame players for my HOF project. I initially passed on accepting his cards, because I didn't have anything in my collection to send back his direction. 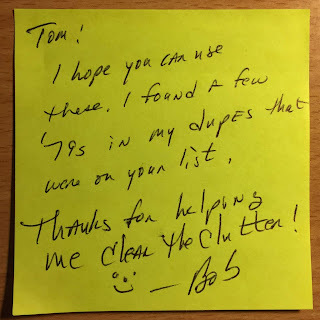 Bob replied with, "I just want the cards to find a good home. No need to send anything back." He drives a hard bargain. For the record, I have to send something back. It's the way I'm wired. So I meandered out to the LCS on the other side of the river and found as many 1976 Topps from his want list as possible. In retrospect, I don't think a team bag of '76 Topps was probably enough to balance the scales. Something to remedy next time I'm at a card show! Woo-Hoo! Set help! This wasn't part of the original conversation with Bob, but I'll always take set help. 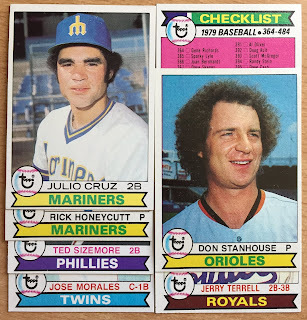 How about Don Stanhouse's hair? That's something else! On to the Hall of Fame cardboard! 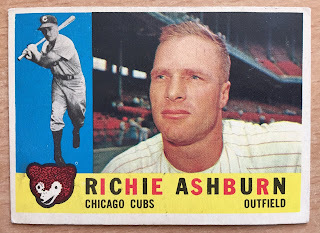 This one will replace a 2003 Upper Deck card for the time being, but I really want this one for my Cubs binder. 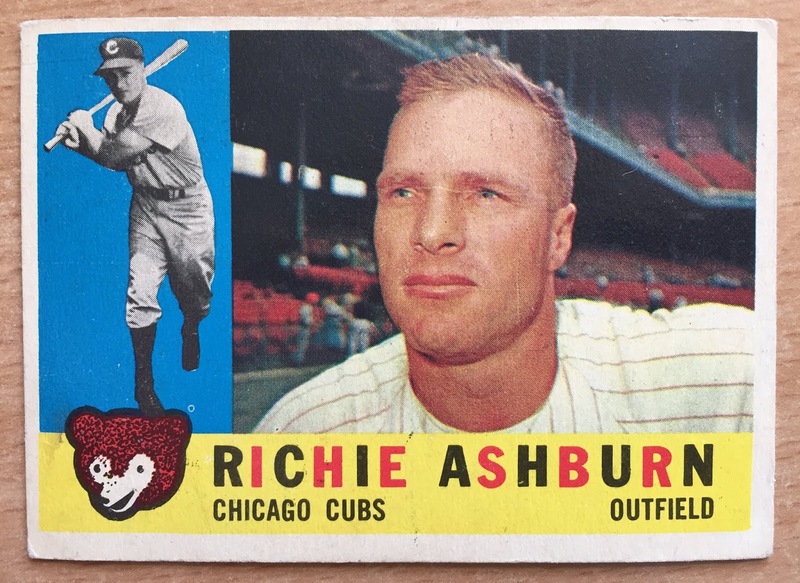 Personally, I think of Richie Ashburn as a Phillie and eventually I'll find a vintage card of him donning the white and red. 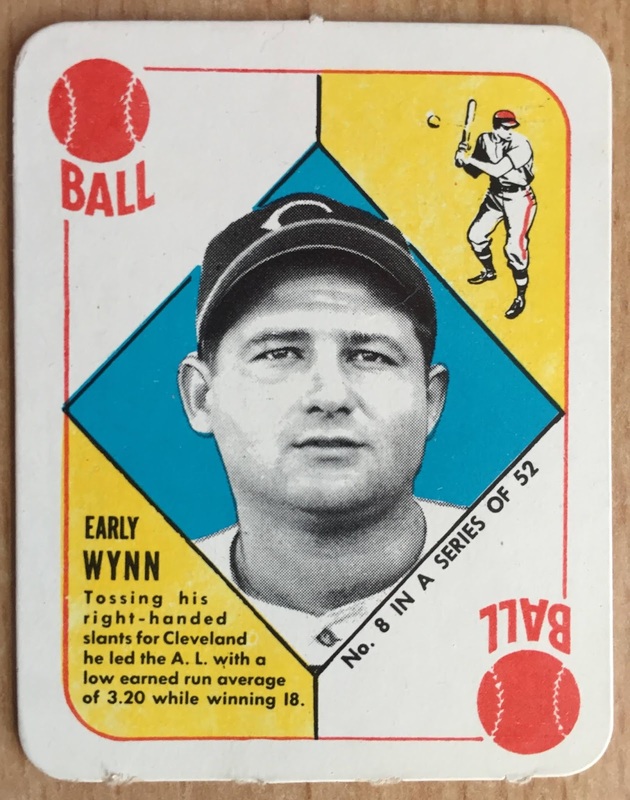 The next card in the PWE is an upgrade over a modern day Topps card and this 1962 beauty joins the not-so-short list of my favorite cards in my collection. 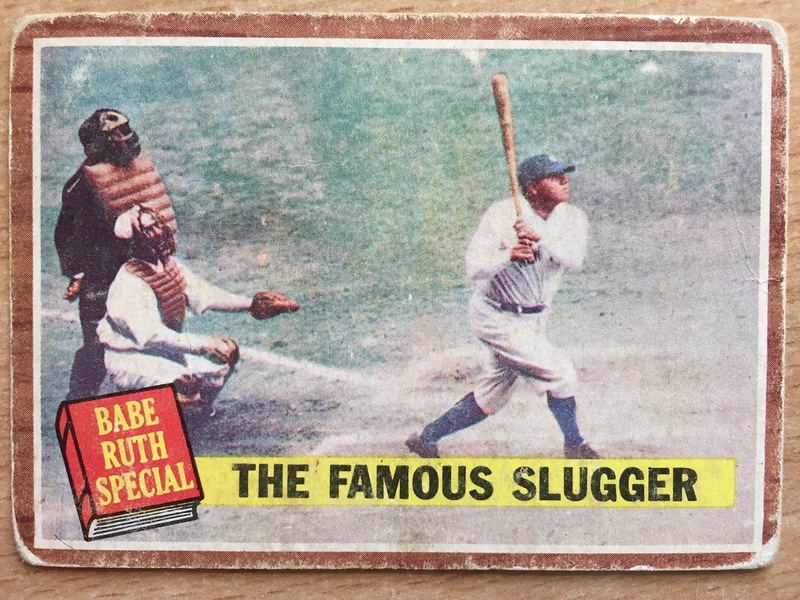 The story on the back speaks to Babes health and how he "only" hit 0.290 with 25 home runs in 1925. Apparently, when Babe was right the Yankees were as tough as nails, but when he was ill during the '25 season they fell to 7th place. 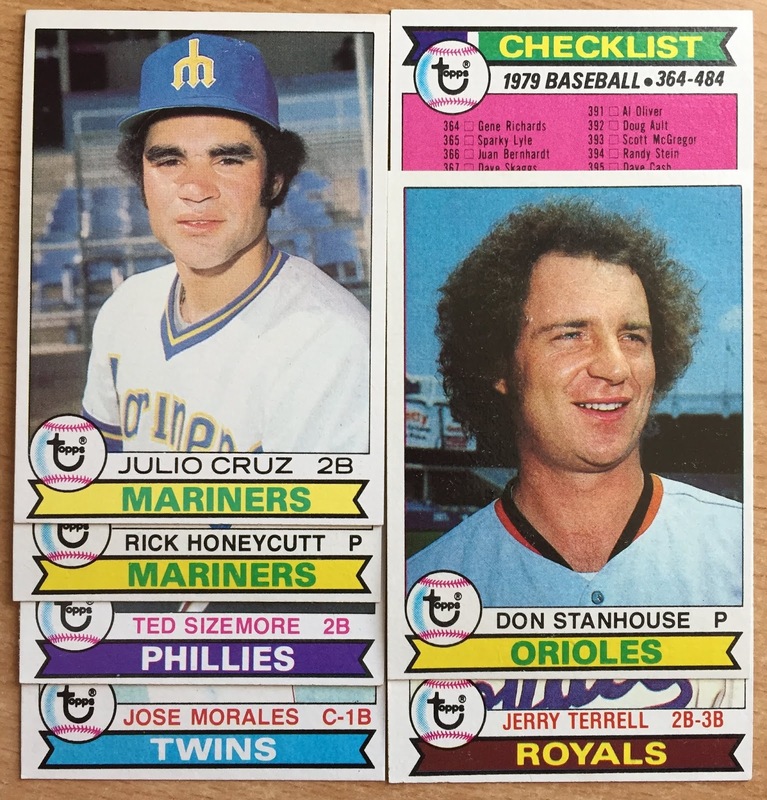 I have a few cards from the 1977 TCMA sets already in my binder and these two will soon join them. 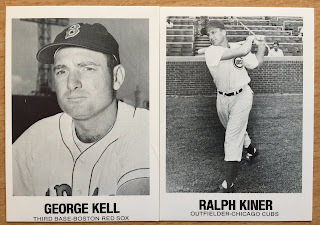 I've been searching for upgrades for George Kell and Ralph Kiner at the last couple of card shows I've attended, but I haven't found the deal I've been looking for. These will serve as excellent place holders until I can track down a card from their playing days. Then the Kell will go to a Red Sox team collector and the Kiner card can go in a Cubs binder! Woo-Hoo! 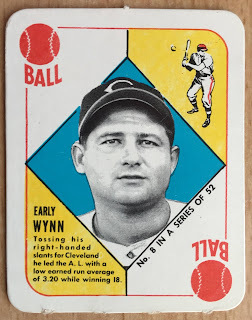 The previous Early Wynn card in my binder was from the 1988 Pacific Legends set, which is a nice enough card, but this under-sized piece of cardboard is the type vintage piece I crave. This is the first 1951 Red Back in my collection and the main reason I feel the need to send a secondary package to The Five Tool Collector. This card is in better shape than many of the cards in my binder, yet it'll also be the oldest once it finds its page. Wow! Commish Bob, thank you very much for reaching out and also for your persistence in sending me such wonderful cards. All five of these Hall of Fame cards will find a home in my binder and two of them are legit keepers! Most excellent. Thanks for stopping by and enjoy your weekend, everyone! Thanks to your post, I just remembered the George Kell did spend parts of 1952 and 1954, plus a pretty darn good year in 1953, for the Red Sox! Now I have to collect him too! Wow. That's some seriously cool stuff from the Commish! That 62T Babe is fantastic!